In this tutorial, we are going to learn how to install Maven on windows operating system. To install the Apache Maven, you have to follow the below steps. To download Apache Maven go to maven downloads, and download the Maven binary zip archive (apache-maven-3.3.9-bin.zip). Before going to setup JAVA_HOME, you have to make sure that, JDK is installed on your computer. If not installed, install JDK first and then proceed to setup for JAVA_HOME. Goto My Computer -> Right Click on My Computer -> properties -> click on Advanced System Settings. Then system properties pop up will be open. 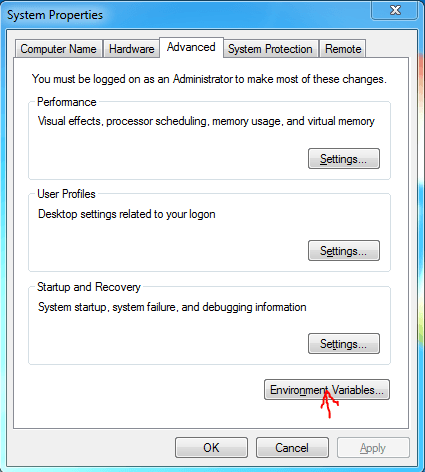 Click on the Environment Variables button; then the Environment Variables popup will open like below. Click on New button. 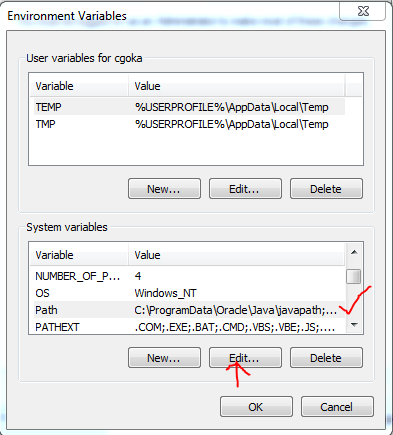 Enter JAVA_HOME as a variable name and give the Java home path. 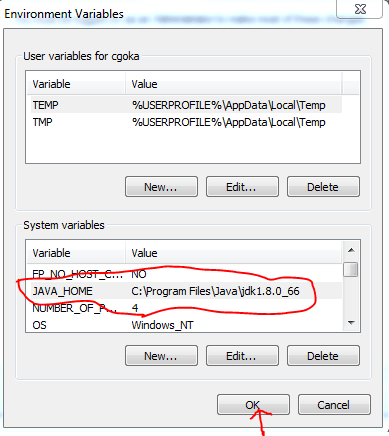 If Java has installed on your computer, you can find the Java home path in C:\Program Files\Java\jdk. Just paste your Java path in Variable value text box like below. 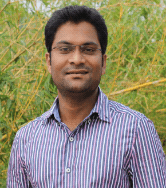 Now JAVA_HOME has successfully created. 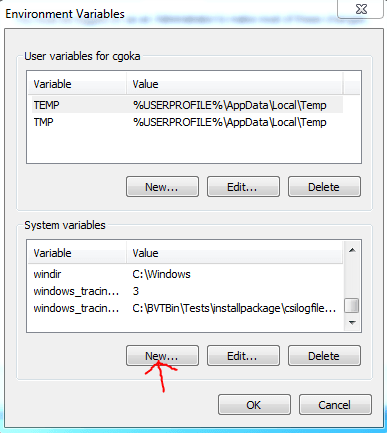 Then you can find JAVA_HOME in the System Variables list like below. Download the maven binary from maven downloads. It will be downloaded as a zip file, extract the zip file. It looks like below. I am assuming that our Maven un-zip folder existed in : C:\Desktop\Softwares\apache-maven-3.3.9 path. Add the Maven to Path. It is something similar to the previous step. Goto My Computer -> right Clock on My Computer -> properties -> click on Advanced System Settings. Select the Path variable, and then click on the Edit button. Then the edit popup will open like below. In the Variable value textbox, add your maven folder path till \bin folder. Well, our Maven Installation is over. Type mvn – version and Enter. You can get the messages like above. Then you can confirm that maven is installed successfully on your computer. If you face any difficulty, please let us know by leaving the comment in the comment section. We will get back to you.